Directions will be available at church, if you have not visited Christine’s house before. 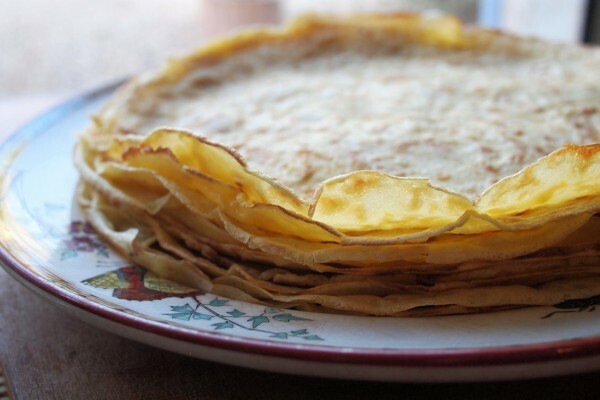 Come and chat and relax over a pancake (or two!) with hot or cold drinks. All are very welcome! 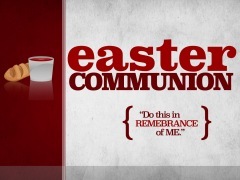 A service of joy and light with a gospel theme! Junior Jonah went for a general walkabout during our Service. He became distracted by Rev’d Charlotte so Barry made sure that he was sitting comfortably to observe properly! 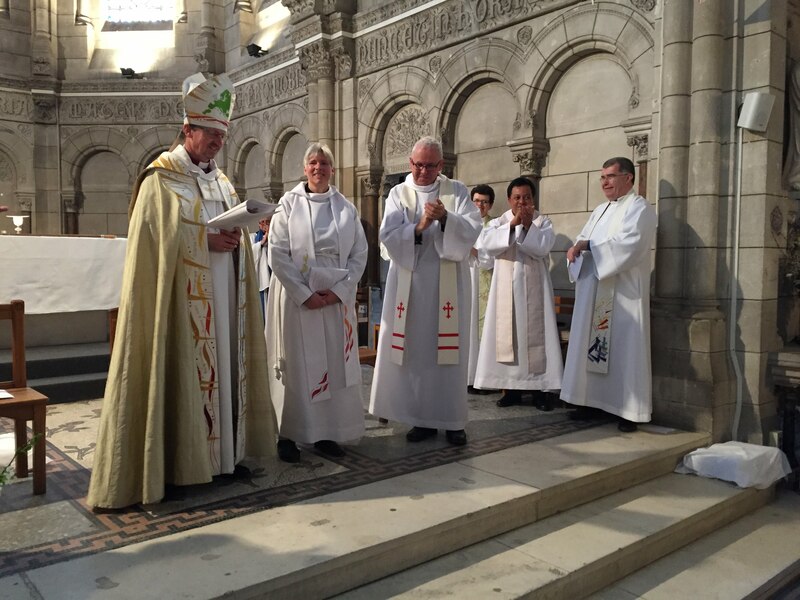 We had a glorious Ordination Service last Saturday in Bordeaux when Charlotte Sullivan was ordained by the Rt. Revd. Robert Innes. Charlotte will now be resident in Bordeaux as part of the Chaplaincy of Aquitaine Ministry Team. 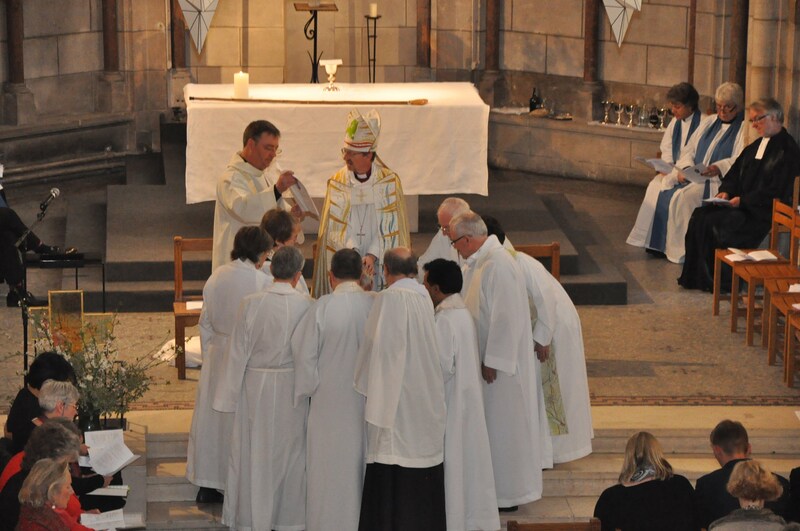 An ordination is always a special event. 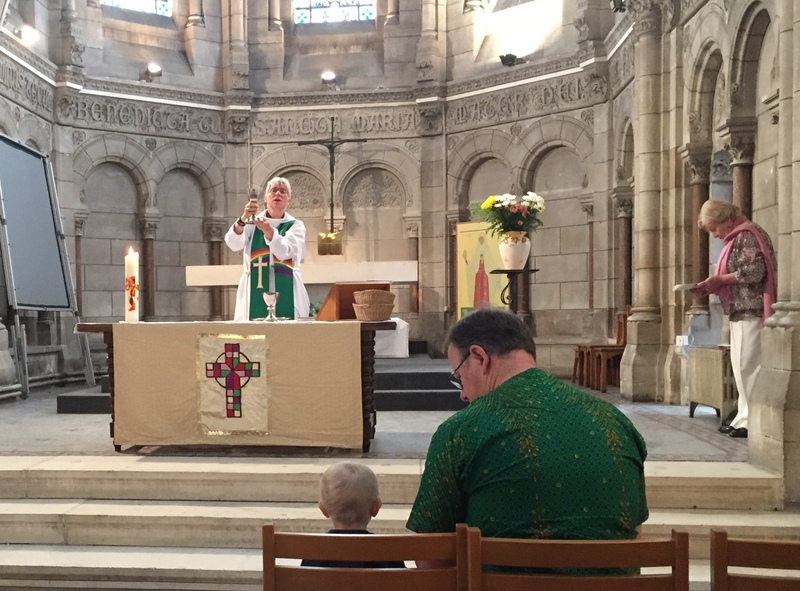 For the weekend of 17th/18th March, Helen and I took the train to Bordeaux for the ordination of Charlotte Sullivan on the Saturday and a confirmation service in Bertric-Burée on the Sunday. We travelled on one of the new Euroduplex ‘InOui’ branded trains that cover the 528km between Paris and Bordeaux in just two hours, and the train arrived on time, to the minute. After an overnight stay with Chaplain Tony and Ingrid Lomas, we drove on the Saturday morning for nearly two hours through the beautiful wine-making area of St. Emilion to the worship centre in Bordeaux. 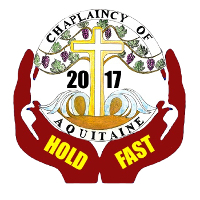 Aquitaine includes 14 Anglican worship centres. Charlotte is to be based in Bordeaux itself, which is a major city and rather different in character from the smaller towns and villages in which the other worship centres are located. The ordination service opened with a confident rendition of ‘My Jesus, My Saviour’ by the children’s choir. The music for the rest of the service was supported by a very good adult choir. 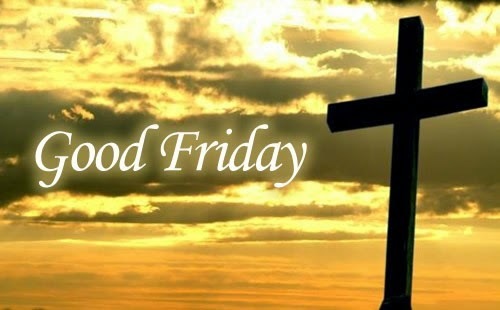 Amongst other items, they sang John Ireland’s ‘Greater Love’, an anthem which sets out the message of the gospel as clearly and powerfully as any other English-language music I know, and finished with a spirited rendition of Handel’s Hallelujah Chorus. Charlotte’s ordination as a priest is a cause of huge thanksgiving for the Aquitaine chaplaincy, where she is much loved and respected. She was supported by family and friends and many chaplaincy members in a full church. Later in the service we commissioned Tony Lomas as Area Dean. He will look after the clergy and congregations of South Western France. Distances are big in this part of the diocese, and I hope Tony will be able to support and encourage fellow clergy working in isolated circumstances. 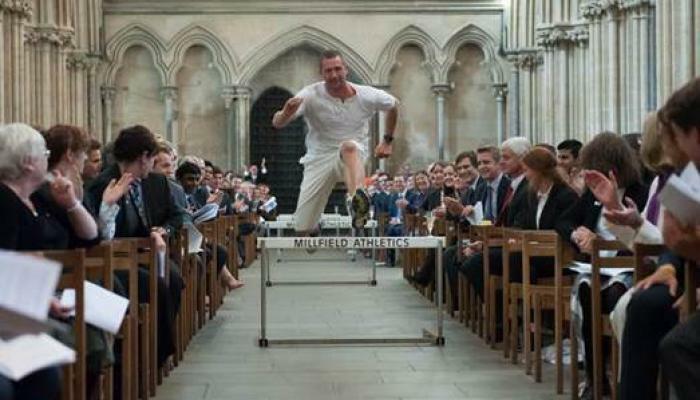 Aficionados of Anglican Canon Law will be aware that Ordinations may only be conducted on certain major feast days. It may be wondered whether March 17th, the Feast of St. Patrick, has sufficient weight to count as a proper major feast. In the event, St. Patrick’s Day coincided with the last game in the Rugby Six Nations, in which Ireland decisively beat England to take the Grand Slam. Bordeaux being a keen rugby city, the anxious would have been left in no doubt that St. Patrick’s Day 2018 in Bordeaux was a major feast ! Allow me to say three things to you in conclusion. This Bordeaux church is at pivotal moment. With Charlotte, this is not about business as usual with a new priest. This is about so much more as we adventure forward. Finally I want to say. It is time to dare greatly. Daring greatly: About vulnerability. About risk. About stepping out when everything in you screams no. Refusing to play safe because it is the safe thing to do. About remembering what it is that Christ has called you to. 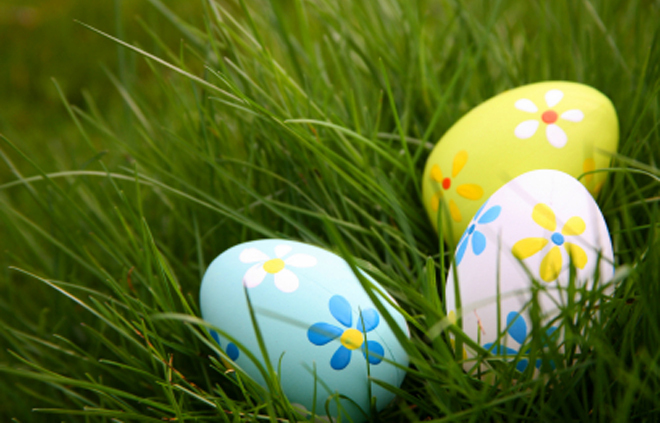 As Jesus put it… About dying to self. About wheat falling in the ground, but life comes. I finish with a quote from Theodore Roosevelt, 26th President of USA. “It is not the critic who counts; not the person who points out how others stumble, or where the doer of deeds could have done them better. There are two significant changes that will be occurring in our clergy team this year. Firstly, as most of you will already know, Bishop Robert has agreed to ordain Charlotte as a Priest. This is a wonderful affirmation of all that Charlotte has done in the Chaplaincy over the last few years and of her own journey of growth in her ministry. 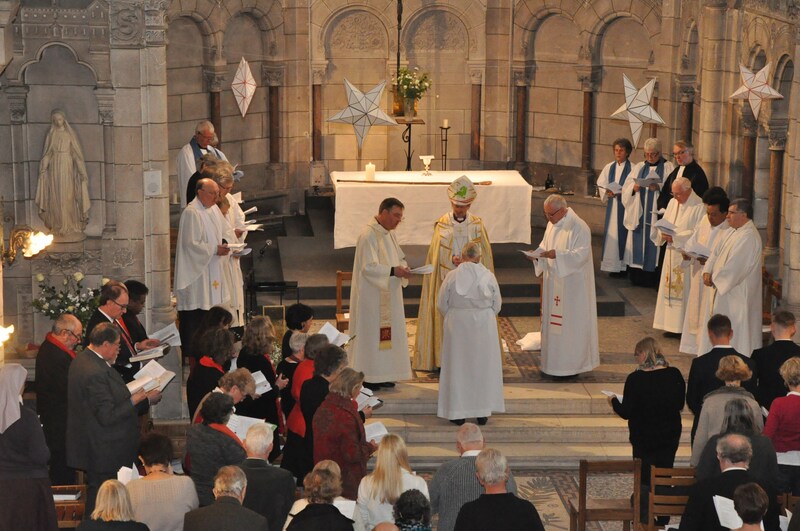 Charlotte will be ordained at a Service in the Chappelle de l’Assomption, Bordeaux on Saturday 17th March at 14:30. It will be a lovely opportunity for us all to celebrate with her. Following her ordination, Charlotte will celebrate her first Eucharist on Palm Sunday (25th March) at Limeuil. 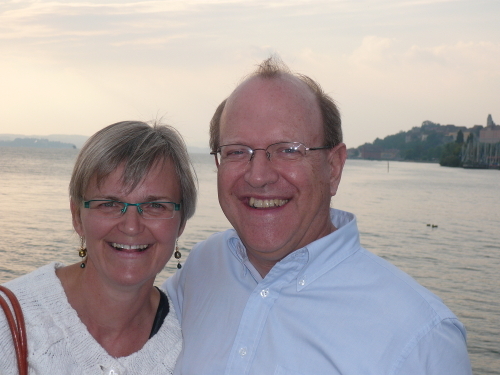 From Easter Sunday, Charlotte will be moving to the Presbytery in Bordeaux and will be helping to lead the strategic and pastoral ministry of the church there. 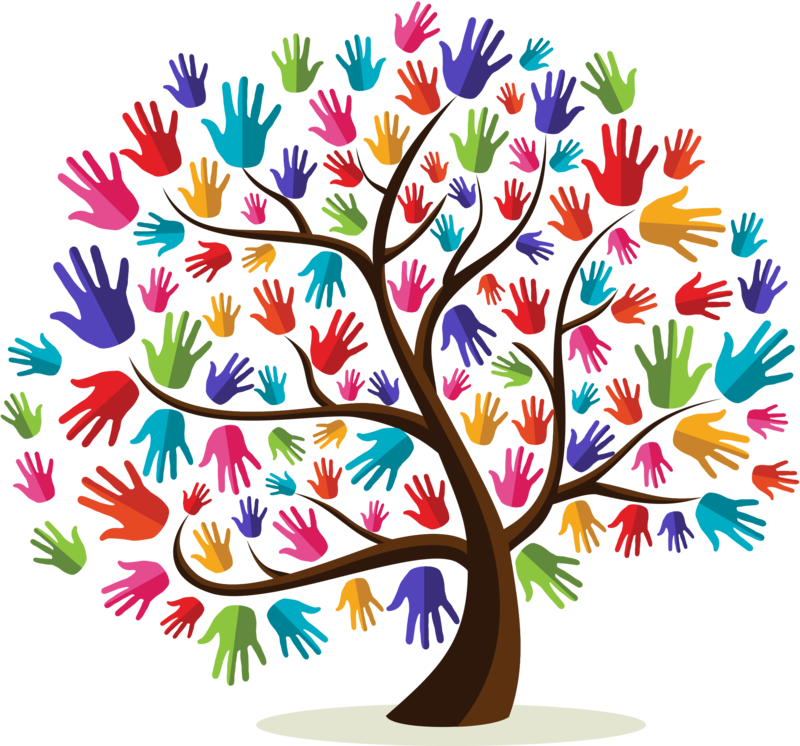 Thanks to a generous grant from our Patron, ICS, Charlotte will be moved onto a full-time contract and whilst she will be resident in Bordeaux, she will continue to play a full part in the wider ministry of the whole Chaplaincy. Please pray for Charlotte as she prepares for her ordination and for this new phase in her ministry. 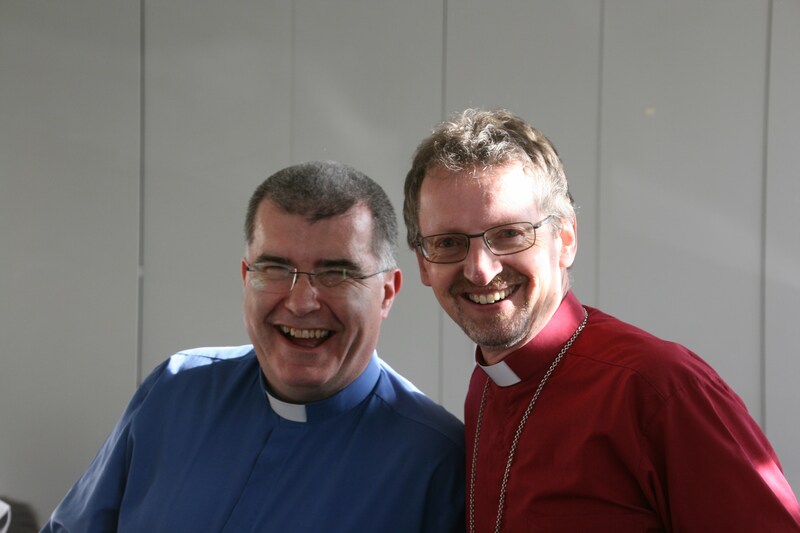 Secondly, Bishop Robert has asked Tony to take on the role of Area Dean of South Western France with the Vendée. 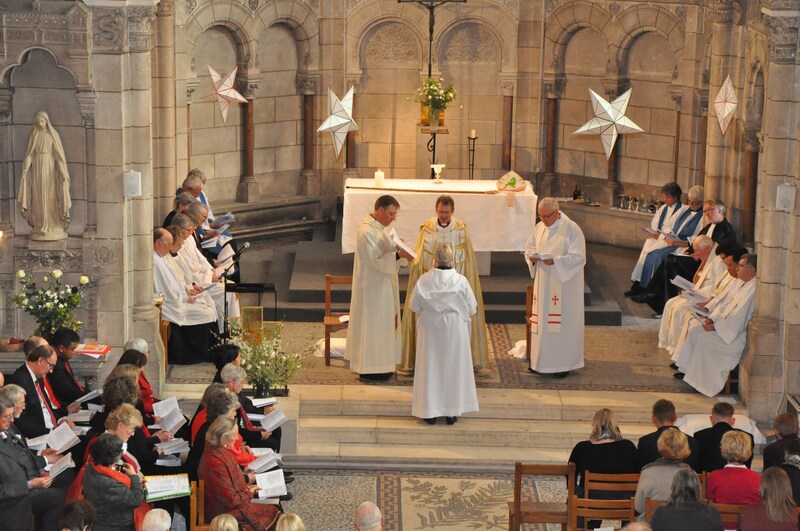 This is a newly created (part time, voluntary) position in which Tony assists the Archdeacon to strengthen the pastoral care and oversight we can offer to clergy, lay ministers and chaplaincies in this part of France. Bishop Robert will commission Tony to this role at the end of Charlotte’s Ordination Service in Bordeaux on Saturday 17th March. Please also pray for Tony as he prepares for this new responsibility. 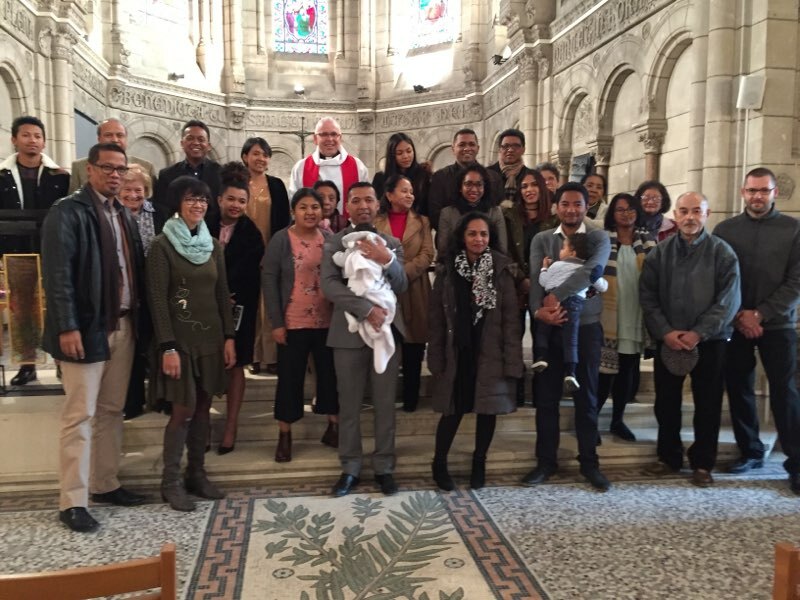 On November 19th, the Madagascan Communities of Bordeaux and Toulouse were led by Revd Tony Lomas and Stephen Razafindratsima for a service of Holy Communion. We welcomed Aaron, born two months ago and who came the first time in our Church. We also congratulated his parents who were happy to share their joy with us during the bring and share lunch. As usual, the children participated in the readings with adults. The Madagascan Carol service will be on December 10th, Some friends are expected to come for this annual wonderful and “unique” service with singing and reading. 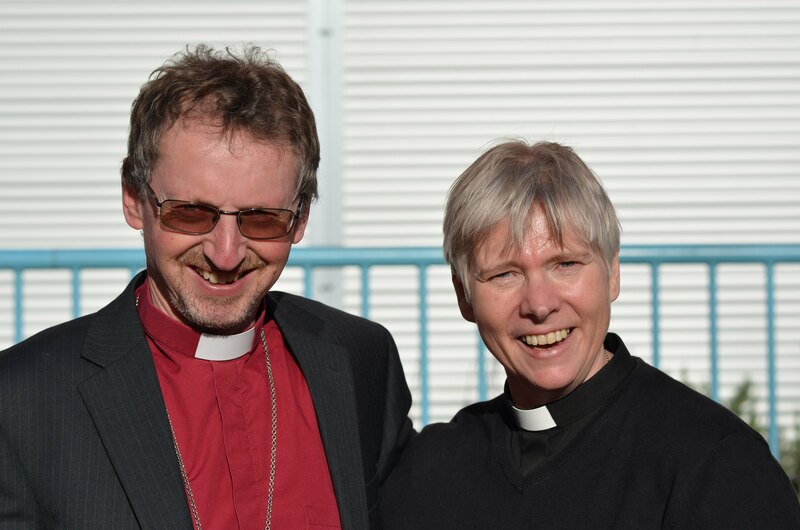 In August we welcome Bishop Martin Seeley and Revd Jutta Brueck to minister to us during the month. 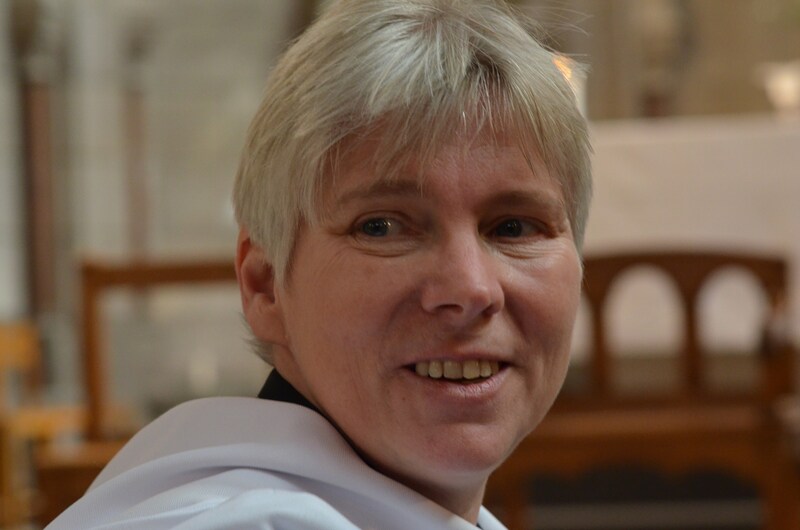 Revd Jutta has, since October 2015, been priest in charge of St.Thomas, Ipswich & leader of the St Thomas Pilgrim Community, a new monastic community developing in Ipswich. Prior to moving to Ipswich, she was priest in charge of St. James’, Cambridge for seven years, having been Chaplain to Fitzwilliam College from 2006-2008 and Chaplain to the Guildhall School of Music and Drama in London from 2000-2005, whilst also being assistant priest in the parish of the Isle of Dogs. 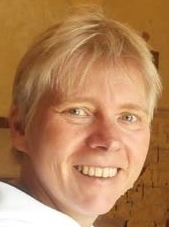 Revd Jutta is German and came to the UK in the 1980s, as a student of European Business and Accounting and Finance. She did her ordination training in the Church of England and has been ordained for twenty years. Bishop Martin has been Bishop of the Diocese of St Edmundsbury and Ipswich since May 2015. 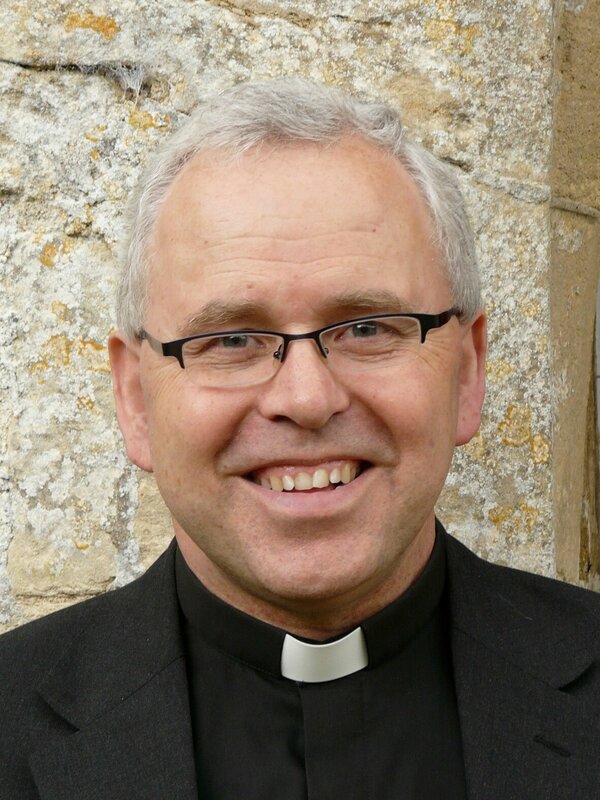 Prior to this he was Principal of Westcott House Theological College in Cambridge from 2006 to 2015. This was preceded by ten years as vicar of the parish of the Isle of Dogs in East London. Their children are Anna, 16 and Luke 14. We are very pleased to welcome Reverend Richard Frost, who is coming to minister to our Bordeaux church from mid-June to end of July. Richard has been married to Jill for 45 years, has 3 children and 5 grandchildren and lives in Bideford, North Devon. After spending time as a Merchant Navy officer cadet, he spent 30 years as a serving police officer before being ordained in 1997. Since his retirement from full time ministry in 2009, he has served as Chaplain in Cyprus and locum Chaplain in Italy, Spain and Belgium. He has also undertaken Chaplaincy duties on numerous cruise liners travelling world wide ministering to passengers and crew. 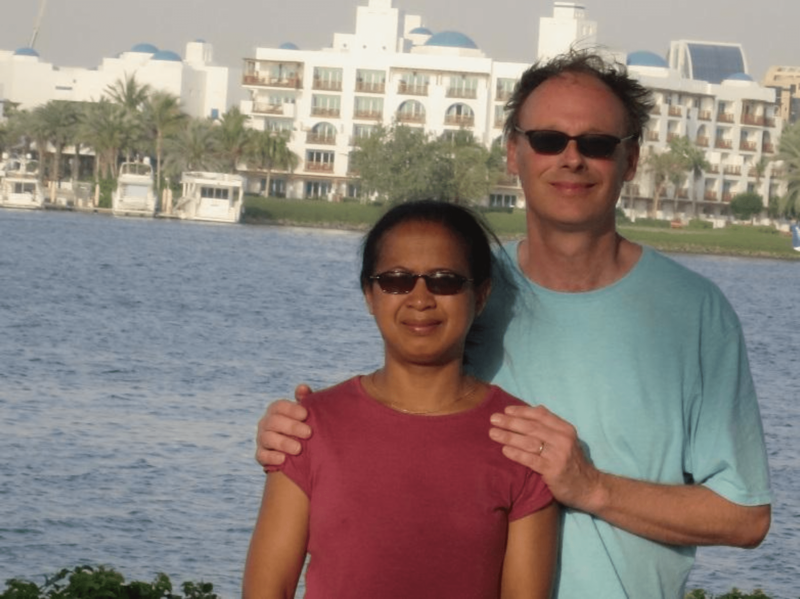 Besides his interest in travel, Richard enjoys good food and wine, outdoor activities such as walking in the countryside and along the coastline, jogging and the occasional game of tennis ( Back permitting!). Richard has a simple philosophy on life and ministry -‘Actions speak louder than words’, and ‘Treat others the way you would expect to be treated’. When the going gets tough as surely it can especially in church life, strive to – ‘Pastor with generosity and keep a sweet Spirit’ . –‘Love God above everything else and all will fall into place. And – ’Pray everyday for the Holy Spirit to fill your hearts and lives’. On a lighter note -if you want to make God laugh,- ‘Show him your plans’!